This week I have baked “chocolate” cookies. Not human chocolate obviously! Doggie chocolate is made from carob. 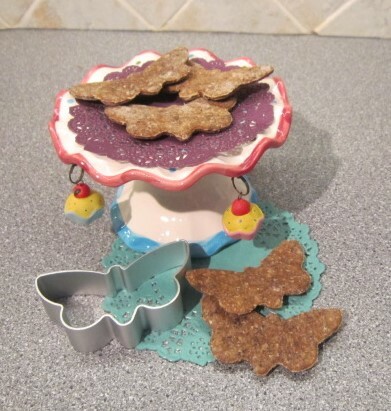 As we are ‘de-junking’ the recipes as much as possible – I have not used the processed dog drops – I bought a proper carob bar and grated it – so we still have no extra additives. Available from the shop today and tomorrow.